Ok, let me remind us all of the blatantly obvious: “SaaS” stands for “software-as-service.” Yup, “service” is right there in the name. All this hyping of features reminds me of how we used to market traditional licensed application packages. That made sense when we were essentially selling a disc full of software. 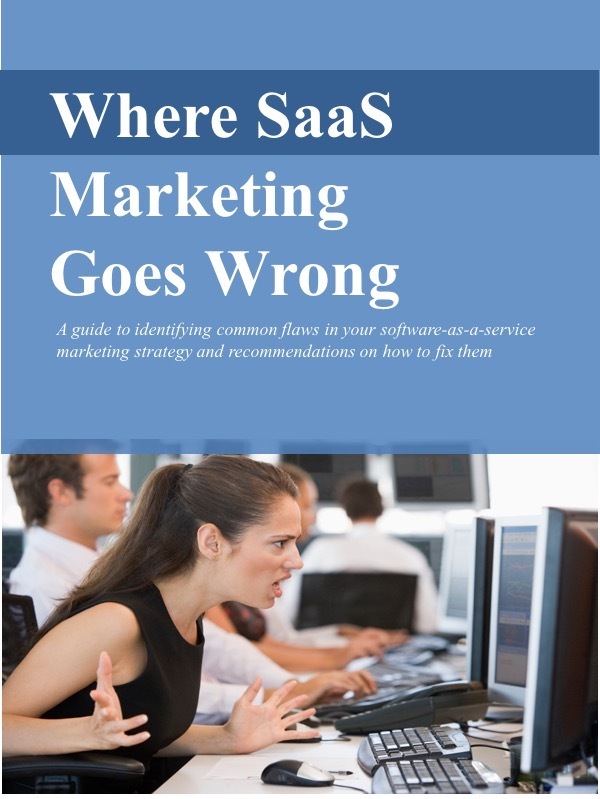 But that’s not what SaaS is, and it’s not what the SaaS buyer expects. They’re paying a regular subscription fee for access to the software features… and a whole lot more. They’re looking for help with training. That might include training for administrators and for others in the organization that will be using the solution. And they’re looking for support. When they get stuck and run into a problem, they expect that someone from the vendor will help. Beyond that, a SaaS vendor should actually be providing expert guidance on how customers can get the most from the solution. They can share tips, best practices, benchmarks, and other help. So, if this is what SaaS buyers are expecting, this is what SaaS marketing should be promoting. Tout your expert guidance and your implementation, training, support services. Follow the software-as-a-service label: Market your services, not just your features.